At the Hotel Lago di Braies you will not only reside in idyllic tranquillity amidst the UNESCO World Heritage Site of the South Tyrolean Dolomites, but you will also embark on a historical journey back in time. The exclusive location directly on the shores of the lake, close to the untouched nature and its noble ambience with timelessly elegant, historical charm enchants every single one of our guests. Enjoy the summer recreation and treat yourself to some time away with us, free from necessity and solitude and let your soul wander! Our heritage-protected property captivates with its expressive architecture and is mostly still in its original condition. 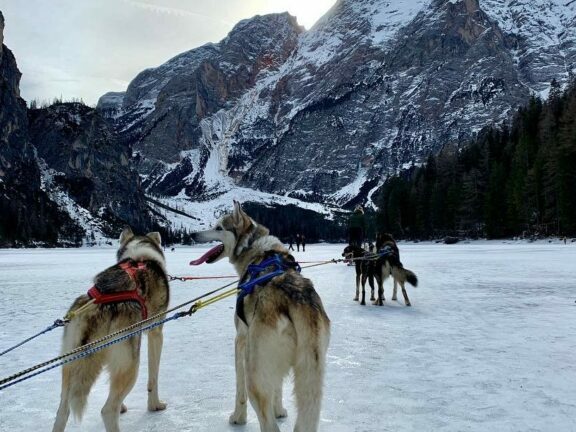 Situated directly on the shores of Lago di Braies and in front of breathtaking mountain scenery, it now seems like a harmonious reminder of old times. The hotel boasts high walls and spacious rooms, a magnificent Art Nouveau dining room and beautifully renovated rooms, some of which are still furnished with original k. u. k. furniture. During the restoration, it was particularly important to us to pay particular attention to every detail and to preserve the historical significance carefully. To this day, your stay at the Hotel Lago di Braies is as stylish as the Grandes Dames and Grandseigneurs in history used to be. Some of the furniture in our rooms is still antique, such as a chaise longue that served as a spot for a midday nap or a Thonet chair that was used as a boot extractor in the past. Our establishment was also subject to the changes of time over the years. With the expansion of the road to the hotel in 1962, Lago di Braies became one of the most popular tourist destinations in South Tyrol – a new era of tourism had begun. Just a few years ago, it was impossible to make mobile phone calls at the lake due to a lack of reception. Neither ringing nor loud telephone calls were disturbing the idyllic silence. For a long time our establishment was practically “TV-free” except for a television set located in the bar. This has changed over the years, but there is still a very weak internet connection in the hotel. Thus, your vacation here makes it possible for you to truly go “offline”! Due to the varied weekly program in the summer months, you will be able to spend a lot of time outside in the fresh air to recharge your batteries properly. Due to the friendly and familiar atmosphere in our establishment you will always feel comfortable and well cared for. 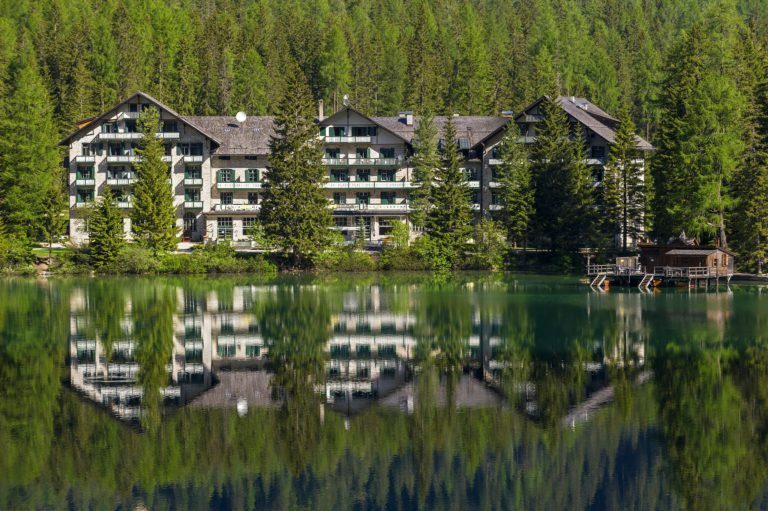 The Hotel Lago di Braies is a place of peace and quiet and offers a break during hectic and fast-paced times. Take your time to enjoy a nap, a long walk or do some of the things you don´t have time for in your hectic pace of life. Perhaps you would like to taste freshly tapped spring water during a hike or classify the alpine flowers found during a tour? Our quiet and exclusive establishment is the perfect place for a leisurely slow walk.